Common single-track name in Germany, It is usually derived from a (possibly no longer existing) stately building on the top of a hill. The southeast to southwest aligned in the form of a kettle vineyard with 20 to 60% slope covers 3.8 hectares of vines on skeletal granite and gneiss weathering soil. 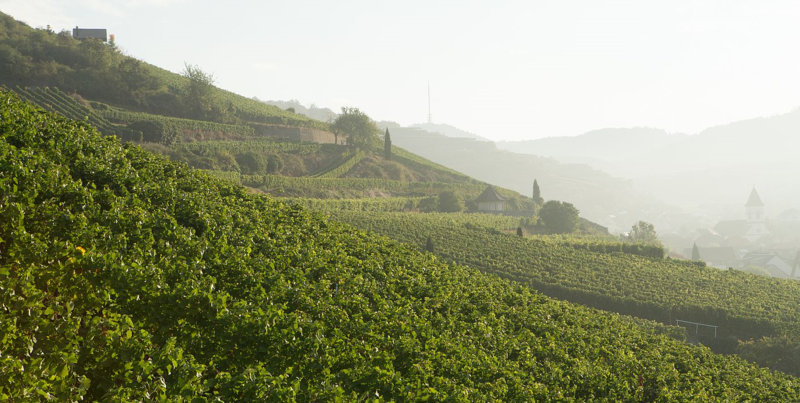 The location is the sole property of the winery Baron Roeder von Diersburg.